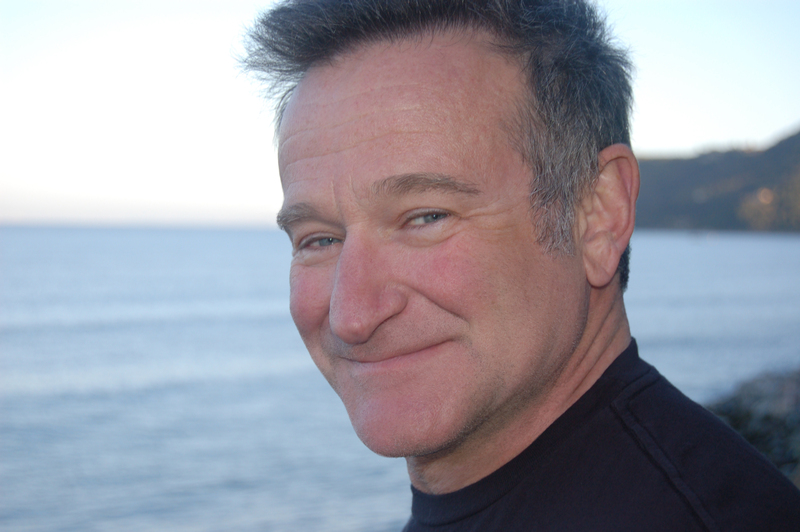 Posted on August 12, 2014, in Uncategorized and tagged depression, help, love, mental health, Robin Williams, suicide. Bookmark the permalink. 18 Comments. This is an important post. The analogy is perfect. Or a friend. If you commit suicide I will haunt you for all eternity…find him. Direct order! She controls 4 militarys. Sweden, France, Quatar & Russia. Hard to ever die. Beautifully said. I think if there’s one “lesson” in Williams’ death, it’s the thought that we can’t know what’s going on in another person’s mental/emotional life… unless we reach out to find out! (And that it’s critical we DO so with our loved ones.) There was a guy who always seemed manic in his cheer and humor, but wow, look what was beneath that surface. I had to reblog. Thank you for such an important message. When my brother committed suicide several years ago, I even had family members request we lie about his cause of death. That’s the worst thing we could do. I’m very sorry for your loss. And I believe you are right, lying won’t help anyone. Absolutely borrow it! I think it’s really important to share. It’s a very difficult issue to explain and anything that might help should be used to. Thank you for posting this, it said everything that I was feeling. “The Just Get Over It” mentality that the majority of people have is a problem, ignorance of depression and/or addiction creates even more problems, Medicating people so that they just don’t feel any more really worries me, that might actually be the zombie apocalypse that everyone seems to be talking about. The only way I have found to make things better is to talk to someone that has been through it, been through what I am feeling, AND to be there for someone else that needs help. I was very saddened to hear the news, but not completely surprised because I knew he was bipolar and (I believe) also manic depressive. Everyone seemed a little subdued at work today and the morning DJ played a tribute to him. There are posters on the metro, here in L.A., that drive home a very important message: you often hear people talking about how they had no idea someone was suicidal. Many people learn to hide it and they hide it well. It’s not unusual for friends and family to have no idea. Some day I’ll write a post about it. I’ve yet to find the strength to do it because I know how much it will hit me when I do. The world has lost a bright light. Let’s not let it be in vain. You’re so right about how well it can be hidden. And a lot of times people don’t realize that sometimes the warning signs are the antithesis to what we might expect, such as the appearance of happiness and ease – when individuals become less stressed and report feeling completely better – can actually be a sign that the problem has worsened. It’s so difficult to understand. And early intervention is so important. I hope we can soon figure out a way to do a better job with creating mental health resources early on. That we can start encouraging treating one another with respect early on and learn how to better understand the neurological processes involved. I actually think there is a lot of hope in laser therapy – however, that has a lot of negative possibilities for misuse as well and is in need to attention and regulation. I’m so happy that you have been able to work through things as you have, though. And it’s good that you know your limitations in regard to writing about it. I hope you all are doing well! Well said. I have had someone close to me in my life suffer manic depression and it is very difficult. The one thing hardest to bear is that they often do not accept the help they need. This is one of the saddest, most frustrating parts of it. Not being able to do anything or force anyone to get help. I hope the person you know finds a way to seek some help and work through the debilitating effects. Well said and terribly true. The most helpless I feel as a physcian is when I cannot find help for some suffering from a mental health issue. And it seems that for those who need it most, whose lives are torn apart by it, are further marginalized from receiving care by our broken system. Beautifully put. Depression is a dragon, and the clinically depressed have to fight that dragon every single day. Sometime, the sword and armor simply get too heavy to carry on your own.